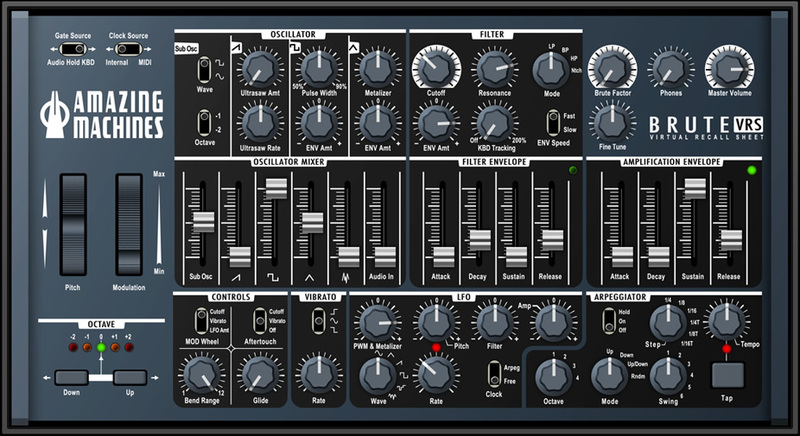 BRUTE VRS is a Virtual Recall Sheet for the Arturia MINIBRUTE, which allows users to digitally store patches made on the Hardware Synth. as possible to the hardware instrument, including the LEDs for Octave Selection, Envelopes, LFO and Arpeggiator Tempo. Native Instruments' Reaktor 5.8 or newer.